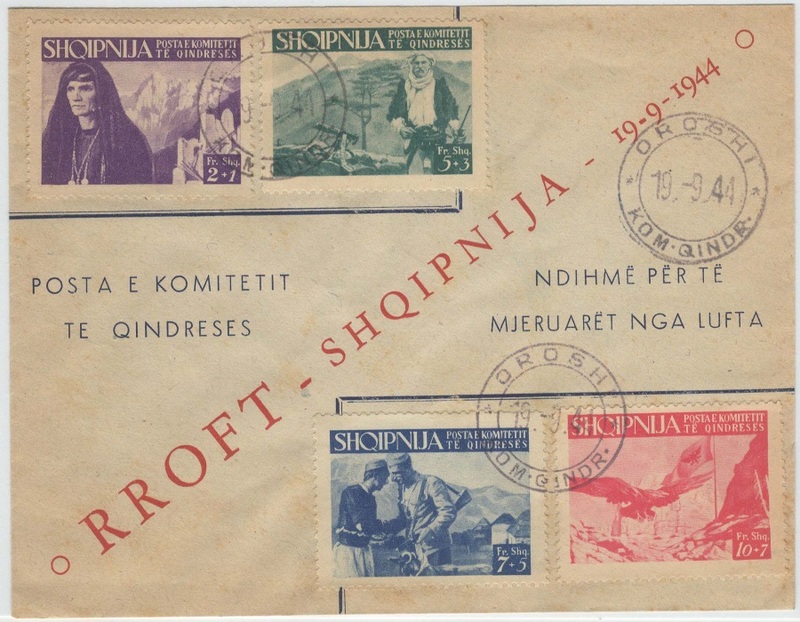 A great find I was able to snag in an eBay auction for a large Albania collection that included this cover bearing the first 4 stamps of the “Exile Government” (Komitetit Te Qindreses) stamp series. This is only the 3rd cover from the period I know about, the first one I was able to purchase, and the only one I’ve seen with these 4 stamps on it. The other 2 covers contain stamps from the 2nd and 3rd series. This cover was just prepared to display these stamps as it is unaddressed, and obvious propaganda. But it may tell us something about the origin of the stamps themselves. Translated, this means something like “Help from the misery of the war”. 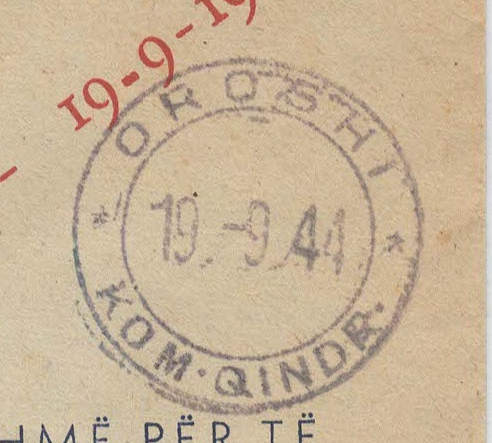 September 19th, 1944 is a curious date in Albanian history and I am not sure if it ties to this cover and this series of stamps or not. On 9/19/1944 Albanian Ballists (Albanian Nationalists) who were anti-communist, attacked partisians near Belicica (Macedonia). Is this cover, and these stamps, in support of the Ballists? In Albania at this time, it was quite a mess. There were still Germans occupying territory, and there were two Albanian groups. The National Liberation Front (NLF) who were communists, as well as the National Front, who were Ballists (Nationalists) and who later became the roots of the Free Albania Committee established in Rome. Finally, the Oroshi postmark. This is a common one to see on these “revolutionary” cinderellas. 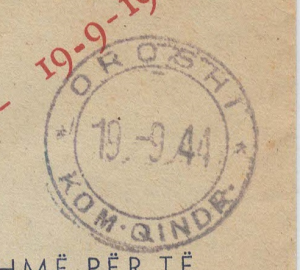 Oroshi (Orosh) in 1911 was where Albania proclaimed its independence from the Ottomans and formed its first provisional government.